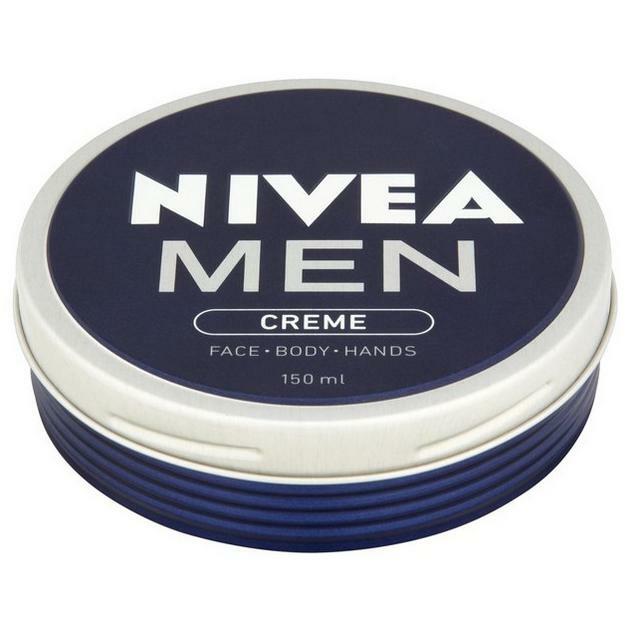 Sample Request Nivea Men Creme! One per household. NIVEA MEN CREME SAMPLING GIVEAWAY TERMS AND CONDITIONS NO PURCHASE NECESSARY TO ENTER OR WIN. A PURCHASE WILL NOT INCREASE YOUR CHANCE OF WINNING. VOID WHERE PROHIBITED OR RESTRICTED BY LAW. The NIVEA MEN CREME Sampling Giveaway (the “Sampling Giveaway”) will begin on February 12, 2016, at 12:00 a.m. Eastern Time (“ET”) and ends when all Samples (defined below) have been awarded (the “Sampling Period”). Before participating in the Sampling Giveaway, each participant must review and agree to be bound by the Sampling Giveaway’s Terms and Conditions as set out below. By participating in the Sampling Giveaway, Registrants accept and agree to be bound by the Terms and Conditions, and accept the decisions of the Sponsor as final and binding in all respects. Sampling Giveaway is sponsored by Beiersdorf, Inc. (the “Sponsor”) 45 Danbury Road, Wilton, CT 06897, and is in no way sponsored, endorsed or administered by, or associated with, Facebook. By participating in the Sampling Giveaway, participant is providing information to the Sponsor and not to Facebook. All communication with respect to the Sampling Giveaway, including requests to be removed from future Sampling Giveaway mailings, should be directed to the Sponsor at the foregoing address (ATTN: Consumer Relations, Beiersdorf, 45 Danbury Road, Wilton, CT 06897). The Sampling Giveaway is open only to legal residents of the fifty (50) United States and the District of Columbia, who are at least eighteen (18) years of age or older by February 12, 2015. The Sampling Giveaway is void where prohibited or restricted by law. Anyone participating in the Sampling Giveaway or claiming a Sample (defined below) in violation of these Terms and Condition will be disqualified. The Sampling Giveaway is not open to the following persons: employees, agents or representatives of the Sponsor, the subsidiaries and affiliates of the Sponsor, or employees, agents or representatives of suppliers providing Samples or other materials or services in connection with this Sampling Giveaway, including promotional agencies, (collectively, the “Excluded Individuals”); immediate family members (parent, child, sibling and spouses of each) of the Excluded Individuals; and any other persons with whom the Excluded Individuals reside. (each product a “ Sample”, collectively “Samples”). During the Sampling Giveaway Period, the Sponsor will give away Samples to people who complete the steps above on the Website. Sponsor reserves the right to provide an alternate Sample. The Sponsor reserves the right in its sole discretion to disqualify Registrants for not meeting any of the Sampling Giveaway requirements described in these Terms and Conditions or for any other reason. Submissions cannot be withdrawn, revised or altered once submitted. Registrants must provide all information requested in order to participate in the Sampling Giveaway and receive the Sample. Limit of one (1) of each Sample per household during the Sampling Giveaway Period. Multiple Registrants are not permitted to share the same e-mail address. Any attempt by any participant to obtain more than one (1) Sample by using multiple or different e-mail addresses, identities, registrations or any other methods will void that participant’s Sample. Any person submitting more than one entry will be disqualified. Registrants may also be disqualified if Sponsor learns that the participant disparaged the Sponsor during or after the Sampling Giveaway Period. Registrants should be aware that Sponsor retains the right to take legal action against Registrants who commit libel or slander against Sponsor during or after the Sampling Giveaway Period. Sample will be fulfilled 6 – 8 weeks after the Sampling Giveaway Period. Registrants must submit a valid physical address. Registrations containing post office boxes will not be accepted. Samples will be distributed to the address provided by the participant during registration. Sponsor is not responsible for any errors, typos or inaccuracies provided during registration. Registrants will be notified of their receipt of a Sample within five (5) business days of the end of the Sampling Giveaway Period. The Sponsor may, in its discretion, also confirm with Registrants by telephone or in writing. In the event the Sponsor is unable to contact a potential Registrant despite reasonable efforts to do so, as determined in the Sponsor’s sole discretion, such Registrant’s Sample will be forfeited and an alternate recipient may be chosen by the Sponsor. Registrants to complete the registration steps described above will receive one (1) of each Sample. The Sample is one trial size NIVEA MEN product. The product brand and type are to be determined in the sole discretion of the Sponsor. Samples are awarded “as is” with no warranty or guarantee, either express or implied by Sponsor. Recipients of Samples may not substitute, assign or transfer the Sample or redeem it for cash, but Sponsor reserves the right, at its sole discretion, to substitute a Sample (or portion thereof) with one of comparable or greater value. Winner is responsible for all applicable federal, state, local and other tax liabilities, including but not limited to, sales and use taxes, excise taxes, income and withholding taxes, customs duties, fees and like amounts in connection with a Sample. The Sponsor is not responsible for any such taxes or expenses. A Form 1099 may be submitted to all appropriate taxing authorities. By entering the Sampling Giveaway and accepting a Sample, each participant agrees: (a) to abide by these Terms and Conditions and the decisions of the Sponsor, which shall be final and binding in all respects; (b) to release and hold harmless Facebook, the Sponsor, its subsidiaries and affiliates of the Sponsor and the franchisees and affiliated merchants of each of the foregoing, all Sample distributors, suppliers, all agents or representatives of the foregoing, including without limitation their advertising and promotional agencies, and each of their respective officers, directors and employees (collectively, the “Released Parties”) from any and all claims, liability, loss or damage whatsoever arising with respect to the Sampling Giveaway or the awarding, receipt, possession and/or use or misuse of any Sample and further acknowledges that none of the foregoing persons have made nor are responsible or liable for any warranty, representation or guarantee a particular purpose thereof; and (c) to consent to the use of his or her name, image, voice, likeness, city and state of residence and/or photographs without compensation in any publicity or advertising carried out in any medium worldwide by the Sponsor and/or its advertising or promotional agencies without limitation or further notification, and without providing compensation or intellectual property rights to the participant, except where prohibited. Entries that are incomplete, mutilated, altered, reproduced, forged, counterfeited or irregular in any way, are automatically void. The Sponsor is not responsible for the following: (a) lost, late, delayed, illegible, inaudible, stolen, damaged, altered, destroyed, mutilated, misdirected, illegal, incomplete or postage due rule requests, entries or Sample claims; (b) lost, interrupted or unavailable network, server, Internet Service Provider (ISP), website or other connections, availability or accessibility or miscommunications or failed computer, satellite, telephone or cable transmissions, lines or technical failure or jumbled, scrambled, delayed or misdirected transmissions or computer hardware or software typographical, mechanical, telephonic, electronic or network relating to or in connection with this Sampling Giveaway, including, without limitation, errors which may occur in connection with the administration of the Sampling Giveaway, the processing of entries, the announcement of the Samples, or in any Sampling Giveaway-related materials; or any incorrect or inaccurate information, whether caused by site users, tampering, hacking or by any equipment or programming associated with or utilized in the Sampling Giveaway. The Sponsor fully reserves the right, in its sole discretion, to cancel, suspend, terminate or modify the Sampling Giveaway if the Sampling Giveaway is not capable of being completed as planned, including infection by computer viruses or bugs, tampering, unauthorized intervention, force majeure or technical failures of any sort beyond the reasonable control of the Sponsor, which corrupts or impairs the administration, security, fairness or proper play of this Sampling Giveaway. The Sponsor is not responsible for printing errors in the Sampling Giveaway materials or these Terms and Conditions. If, due to a production or printing error or other unforeseen error, there are more requests than Samples, the Sponsor reserves the right to award any remaining Samples through a random drawing of all eligible Registrants for that level. No more than the number of Samples listed herein will be awarded. No correspondence will be entered into except with potential recipients of Samples. By entering the Sampling Giveaway and voluntarily providing your personal information as described in these Terms and Conditions, you agree to the collection and use of your personal information by the Sponsor and its representatives, promotional agencies and marketing organization for the purpose of administering the Sampling Giveaway, including without limitation contacting Registrants in the respect of the Sampling Giveaway and disclosing the list of recipients. Your personal information may be used for future promotions and marketing of the Sponsor, its affiliates, representatives, and promotional agencies but will not be used for any other purpose nor will it otherwise be disclosed to third parties, unless otherwise required by law. If you would like to be excluded from all lists used by the Sponsor for any future promotions and marketing by the Sponsor, you may send a letter requesting that you be removed from such lists to the Sponsor at 45 Danbury Road, Wilton, CT 06897, ATTN: Consumer Relations. This Sampling Giveaway and the Terms and Conditions shall be exclusively governed and constructed in accordance with the laws of the State of Connecticut and the federal laws of the United States of America applicable therein. Any and all disputes, claims and causes of action arising out of or connected with this Sampling Giveaway or any Sample awarded shall be resolved individually, without resort to any form of class action, and exclusively by final and binding arbitration administered by the American Arbitration Association in the State of Connecticut. This Sampling Giveaway is subject to all applicable federal, state, local laws and regulations. Void where prohibited or restricted by law. If any one or more provisions of these Terms and Conditions are held to be invalid, illegal or unenforceable by a court of competent jurisdiction, such invalidity, illegality or unenforceability shall not affect the validity, effect or enforcement of any other provision or provisions of these rules.